The Heidi Lab initiative has run three cycles of agile analysis. Eighty highly data literate staff from 52 UK universities have taken part over the three cycles during the last year. The teams worked to determine widely applicable issues for resolution through data derived insights. Next they identified likely data sources for exploration. We added the data to our secure data processing environment and teams used different tools (mainly Tableau and Alteryx) to cleanse, link and explore the data producing interactive dashboards with a view to HESA and Jisc making the best available through the Heidi Plus dashboard delivery service. The initiative is proving to be hugely successful and we just announced release of the first suite of dashboards. We’re also recruiting new team members for January and April. ‘Multi-DLHE’. These provide ways of looking at the destinations data from the perspective of one institution compared with another. They offer a broad exploration of where students end up, looking at whether students have continued onto graduate study, found a job, gone onto study elsewhere or became unemployed. The team responsible for those tried mashing in NOMIS ((National Official Labour Market Statistics) data. The combination of DLHE data and data from NOMIS makes it possible to see the relative trends between HE leavers and statistics about the workforce at a national level or regional level; by industry and by year. 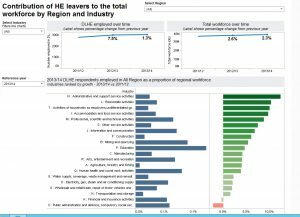 This is a great benchmarking tool for institutions, in combination with the previous dashboards, offering insights into their own leaver’s destinations and how they fit with National higher education and wider National employment picture. That’s a step towards insights to help us make a better Higher Education Curriculum in terms of employability. 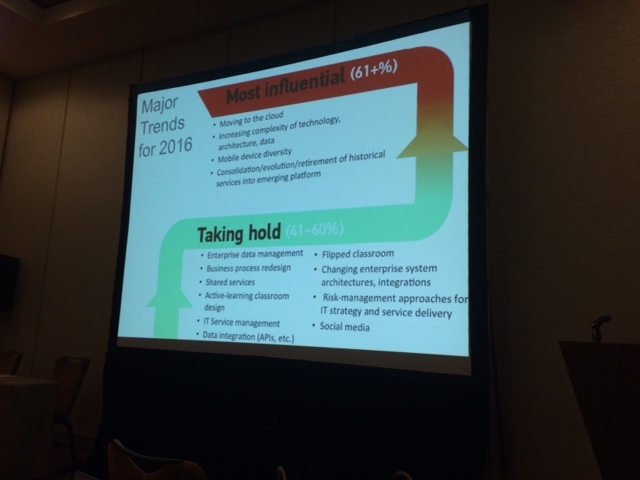 What other data might we add to contribute to that co-design challenge? What other insights would help us improve the Higher Education curriculum? This entry was posted in Uncategorized on November 10, 2016 by Myles Danson. Feb 2016 sees me back at my third HESPA conference. I wasn’t going to do a live blog this year. 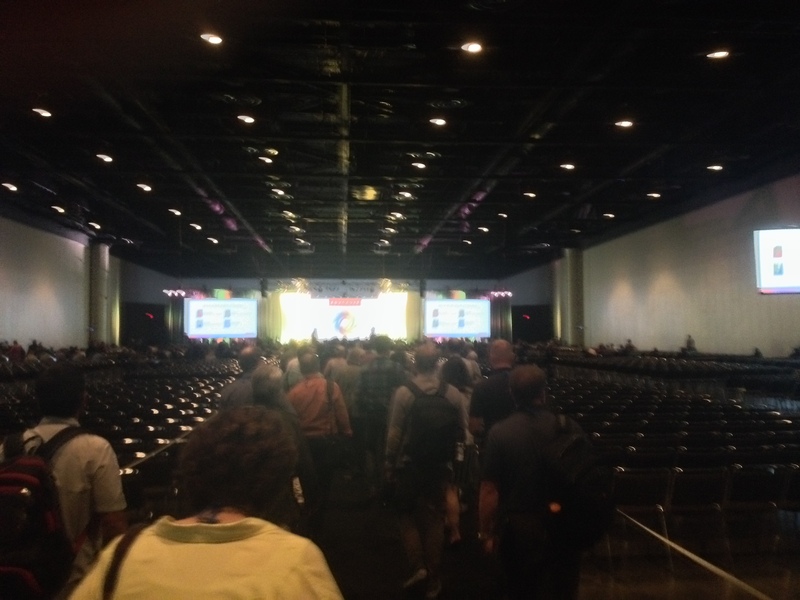 I decided to Tweet a few of my conference highlights (hey – is easier and less long winded). You can pick up the entire stream by searching #HESPA16. But as often happens, colleagues asked me for an email summary and it seems such a shame to go to the effort of collating that and not publish for others to view. So it’s a mercifully short blog this year from me! 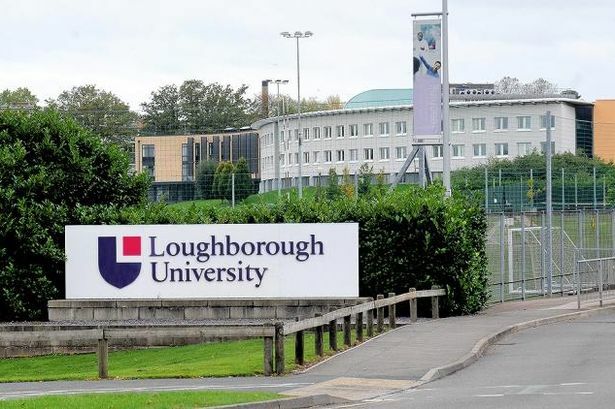 We’re back to Loughborough – I studied my Masters degree here back in 96 and had a 10 year career at the University so it’s hello to an old friend from me. The first of these HESPA conferences I came to was as a guest, to get a feel for the community, issues and opportunities. At the second I spoke with HESA and Jisc colleagues to put across a vision for a shared national business intelligence service for UK Higher Education. Feb 2016 and I’m back with Giles Carden and Jackie Njoroge (HESPA Exec project co-designers), Jonathan Waller (HESA Director of data and analysis) outlining the Heidi Plus service (launched Nov 15) available to all 180 publicly funded Higher Education providers, related organisations and departments. While I spoke with Gary Tindell (UEL) and Richard Elliot (Northumberland Uni) about Heidi Lab – a Jisc led initiative attempting to provide insights into Higher Ed business problems through; 9 teams of 50 planners from 40 universities, a secure technical environment for data processing, an emerging data catalogue describing the data sources used, how to link them and what insights are available and the 24 Feb showcase event where HESA, Jisc and HESPA will begin to shortlist outputs (dashboards) for service production (via Heidi Plus or Jisc beta service. And no one fell asleep! 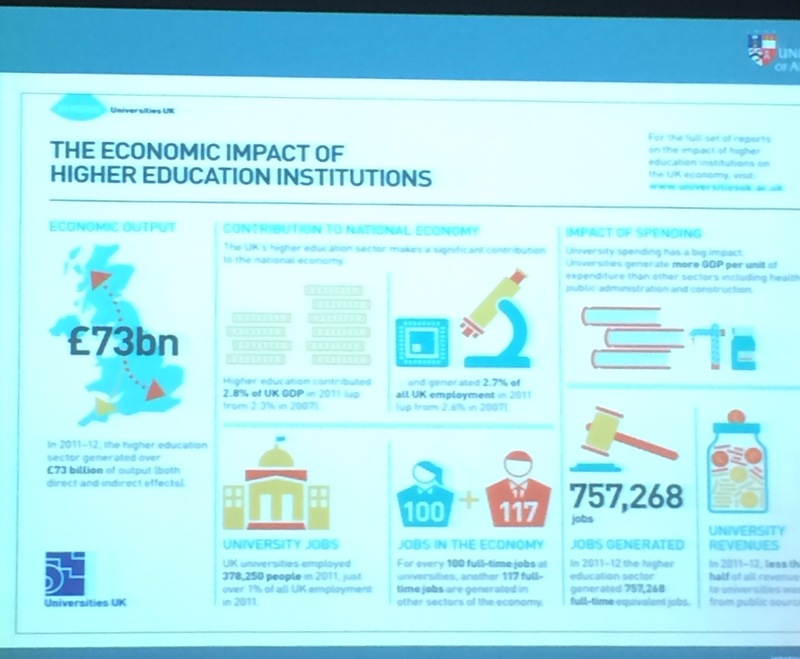 Chris Hale of UUK stepped in for David Willetts and mentioned our Jisc and HESA Heidi Plus and Heidi Lab work as examples of good stuff going on to address the data in HE issues planners and the sector are facing. A common thread this year was the need for openness, transparency, new data driven services and tensions of collection burden, legal requirements and importantly alignment with institutional requirements. What’s in it for us? The promised benefits must be addressed early in order that we drive the changes such issues seem to require. 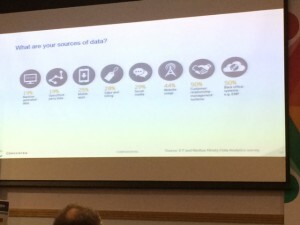 Last session of the day was Paul Clarke (CEO HESA) talking up the need for data exploitation, marketisation, public trust and confidence. 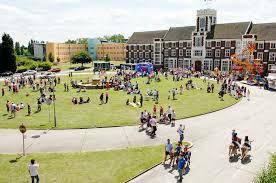 Helping the University sector to play a far wider role in society than it has. 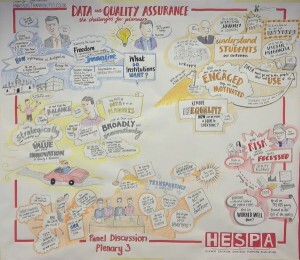 All building up to the HESA data futures programme (results of the public consultation here https://www.hesa.ac.uk/df_consultation) Barriers – Victorian plumbing; lack of integration of data, inefficiency in data collection, processing and dissemination, duplicated data, variable data quality. Enter the HESA Data Futures Programme. 117 responses, 64% rate, 91.4% supportive of overall direction of travel. Two responses were negative, so I had dinner with 0.8% of responds last night! More integrated data, more efficient data flows (more APIs, fewer bulk transfers), streamlined data specifications, agreed canonical sources of core information, more flexibility in data returns, less resource intensive, systems and processes designed around users. Who could argue with that – interested to see what audience response we see…. 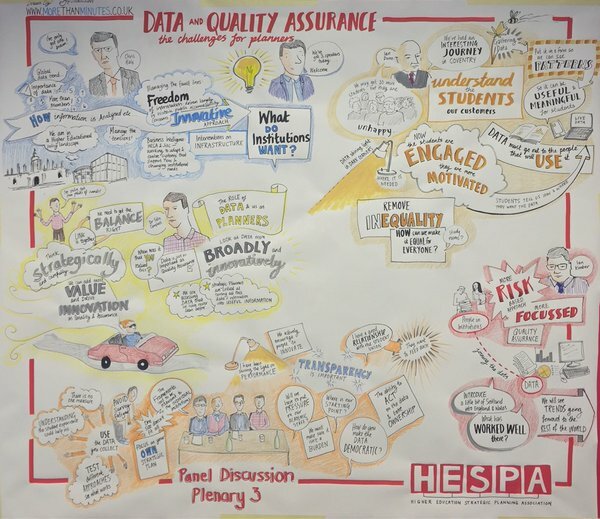 Qualitative data required as well as quantitative – Yes HESA recognise importance, but while important data is not the only contributor. 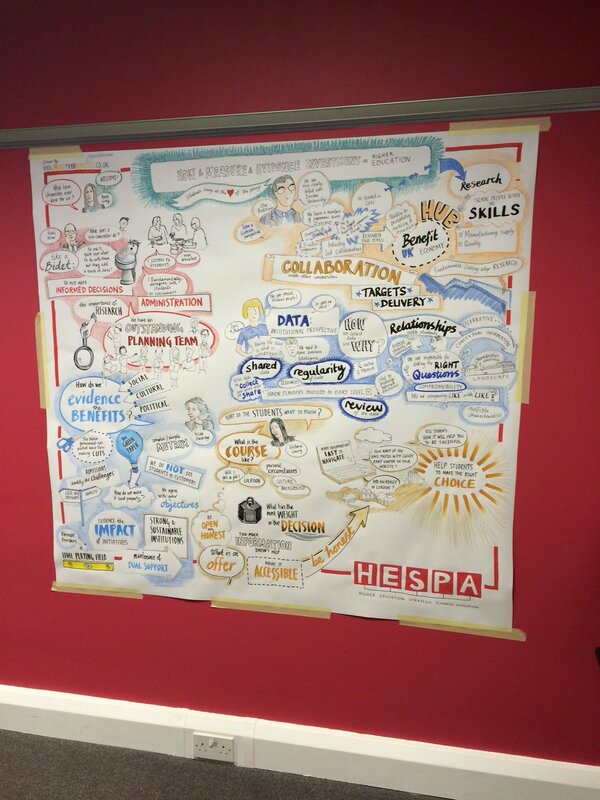 So another excellent HESPA conference. Some brilliant talks, conversations, nice venue, good food and a great bunch of people – the UK HE planning community to be working with! This entry was posted in Uncategorized on February 12, 2016 by Myles Danson. Koolmill manufacture machinery for cereal crop industry aiming to delver more food at a higher quality reducing environmental impact and reducing processing losses. They are a disruptive technology – small turnover at the moment. Reports a global aim to increase rice production by 75% by 2030. So on with the BI – how do Koolmill interact with their customers? ‘the data outside the business is more valuable than the data inside the business’. But what data is appropriate for your needs – is there value in purchasing data? Generally payment upfront is required before an answer to this can be achieved. One wanders whether there’s an opportunity for ‘try before you buy’. At Jisc we’ve developed a controlled environment for data and analytics R&D and have secured our first data sharing agreement to allow just that. Koolmill harvest trending data related to their business from internet searches and target influential individuals via Twitter to highlight how their products can help achieve wide felt goals. Intelligent customer interaction by social media analytics – analyse what they are trying to achieve, undertake targeted and individual marketing. This is a very manual process relying heavily on the presenter. Airbus also built the satellite that deployed the Rosetta comet lander. Airbus are not high volume, 3 satellites is a big deal. The business sis all about deploying cutting edge technology. 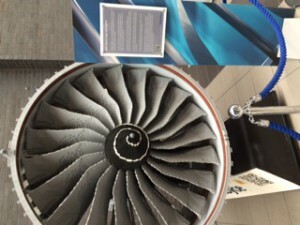 So on with the BI – how do Airbus interact with their customers? Started with focusing the question – what does value mean to the customer? Came up with a customer value cycle; obtain feedback, analyse the needs and commitment to change, implement the changes, measure the improvements. Note that Airbus have around 100 customers worldwide with a turnover of billions. So are far from typical. Feedback was gathered F2F. KPIs apportioned and scored. Customer confidence vs Mean importance to customer plot showed the order of KPI importance to customers (highest was quality – nothing goes wrong for 15 years) but momentum (direction of travel) indicated direction of travel (where confidence was getting worse) allowing prioritisation for change and resulting actions. 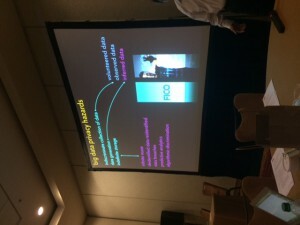 Is analytics appearing in the real world? 81% agree that data should be at the heart of decision making but only 31% have restructured to do this. 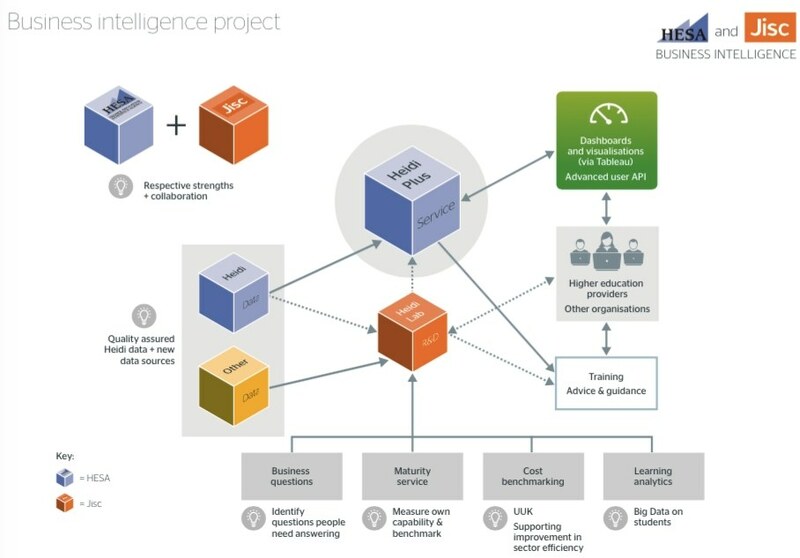 People mix up BI KPI reporting with predictive analytics integrated with decision making. Andy described supply chain decision making integrated with predictive analytics. Clever use of analytics to show people their impact on the supply chain – example given of incentivising sales team inflated prediction on sales resulting in manufacturing over production and excessive stock storage. Andy showed visualisations to explain this behaviour. Helps people to see what policies are needed to produce efficiency in the supply chain. The importance of matching visualisation design to end user was highlighted – high level briefings for senior managers so give them high level dashboards. Interestingly accessing accurate data was not seen as a problem, audience anecdote did not concur. Much discussion about end users screwing with data for their own purposes / to look good. 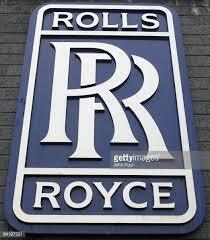 RR – 54K staff, 72Bn back orders, civil, defence, marine, power, nuclear. Aiming to take 6 million people through STEM. Interesting PPT with overview of BI past (KPI driven historical), present (introduces ghost Bi – end users using their own tools vs being active co-designers of corporate service), much about vendor promises and upgrade paths, single source of truth. Interesting mapping to our BI maturity model (webinar here), recent changes – transaction or transaction meta data; the information surrounding the transactions has more worth than the transactions themselves. Also a nod to apps and mobile for wider access. Talk about practical solutions of immediate value through connected products and systems via (open) interoperability standards. Two examples given – the Amazon Dash (device that re-orders washing powder when running low), an automated lawn sprinkler system.The aim is to create a better customer experience. Open standards are key to development. Dyson hand dryer – add an LCD screen, connect it to an advert server, provide the hardware free, profit comes from advertising revenue. Bottom line message – the barrier to entry is low see th manufacturers thought leadership network – a talking shop toward products as services. Berendsen offer massive volume, low profit per unit laundry services to a vast number of hotels worldwide. The innovation is to RF tag sheets and towels. The BI tracks stock (losses and stock piling) allowing efficiency gains across the business. This entry was posted in Uncategorized on December 4, 2015 by Myles Danson. Aston business school today where I’m presenting to 120 planners from 120ish UK Universities as well as recording some of the rest of the day with the Higher Education Strategic Planners Association. A call to bravely redesign for the benefit of data providers and consumers. 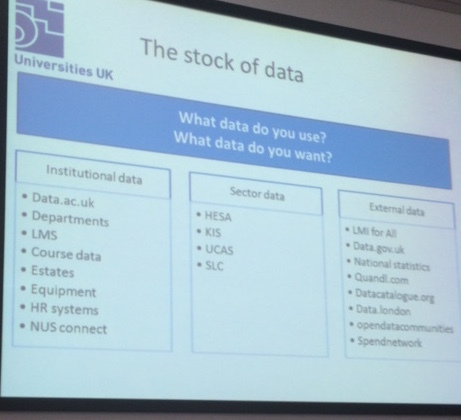 There are 525 data collections with 93 organisations collecting student data. There’s a lack of coherence in published information with different definitions and timescales. This means we are providing the same data in different formats at different times to different data collections. The aim is to standardise and rationalise. The causes; lack of coordination among data collectors, lack of coordination in responding to data requests, range of data capability across HE providers and data collectors. This is a UK wide issue and is not technological. Developing, managing and publishing data specifications. Undertaking stakeholder engagement (resolving problems, coordinating implementations, expertise, advice, guidance and good practice). Inventory of data collections (revised survey in January 15). Plan is to start looking into student data area. New JACS replacement (HECoS), non-hierarchical using 6 numeric characters providing a standardised approach to analysis. A transformed HESA data collection. More on this later in the day. BIS Data capability strategy (2013) and NESTA / UUK reports (2015) stated the biggest barriers include a shared understanding of what ‘good’ is (data management is low according to the Jisc BI Maturity survey. July 2016 is the end date for HEDIIP at which point it is taken forward by the HESA Data Futures Programme. Onto the afternoon session here at the Higher Education Strategic Planners event and it’s Paul Clarke, new CEO of the Igher Education Statistics Agency, describing the HE environment and the need for ‘fast, reliable, joined dup data across the sector to help deal with it effectively. Policy trends Paul highlighted include Austerity, efficiency ad innovation, increasing competition and marketisation, divergence between the 4 countries, sift from funding driven to data survey regulation (interesting one this), need to provide public trust and confidence. 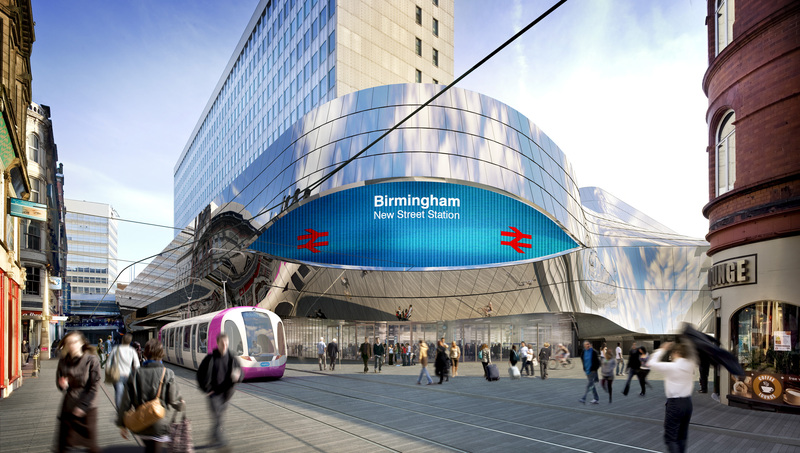 Ongoing consultation, detailed costing and planning, set up governance structure, initial procurement (‘subject to funding’) while maintaining business as usual. I gather the aim is to fund this though the HE funding councils (subject to the green paper released today presumably). 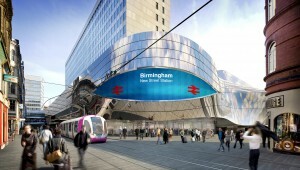 Paul stated that ‘this has the backing of the funding councils’. We’re talking about Heidi Plus and Heidi Lab. Here’s our new poster describing the initiative. The HESA led piece to the left is quality assured production service. The Jisc led research and development piece to the right shows an agile approach to mashing up HESA with ‘other data’ for new insights to help Higher Education in strategic planning. Outputs will be considered for inclusion in the HESa production service or, if not on topic for that a new Jisc beta service to UK education and research. This entry was posted in Uncategorized on November 6, 2015 by Myles Danson. October 2015 and I’ve been invited to address the ECAR working groups as they address big data and analytics issues and likely impact on Higher Education. ECAR has 294 members across 146 institutions in 9 countries comprise the 17 working groups. These produce articles, guidance, reviews across a range of topics all available from the above link. Kent aired the fact that there are all sorts of things we can do with data but should we. Jisc has addressed this with our Ethical framework for learning analytics (though these play well with any data underpinned service). Similar to US data compliance and fair information practices principles. ‘Information security’ protects all information (making it available to the right people with the right permissions). ‘Information privacy’ protects data about people. In the UK the latter is dealt with by our data protection act. 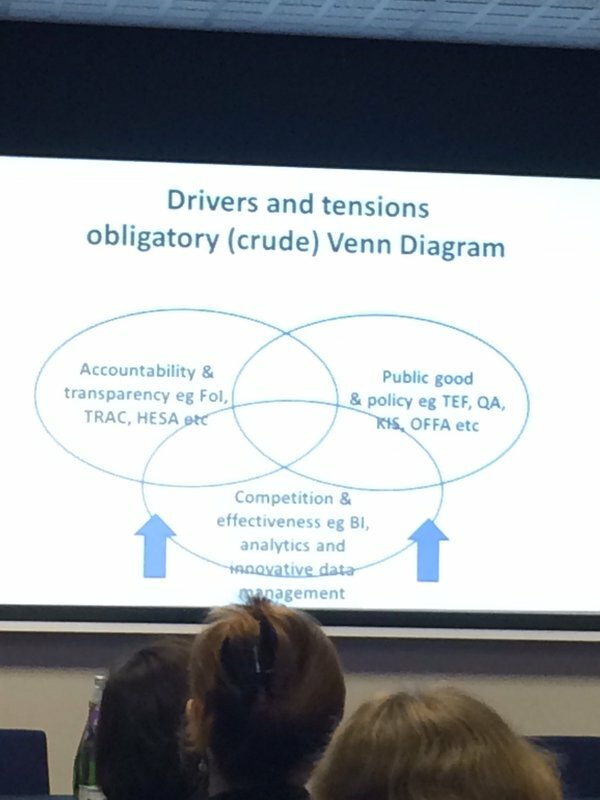 The Jisc and HESA business intelligence work detailed in my slides have addressed these issues through organisational and end user agreements and training and information security compliancy to ensure the two organisations are acting responsibly as data controllers. Indiscriminate collection of data (volunteered, observed, inferred), indefinite storage and re-use, de-identfied and re-identfied data (piecing together disparate anonymised data to identify an individual), data breaches and predictive analytics (is the model accurate and (being used appropriately). All issues to be addressed,but not to stifle innovation in data use I hope! This entry was posted in Uncategorized on October 27, 2015 by Myles Danson. 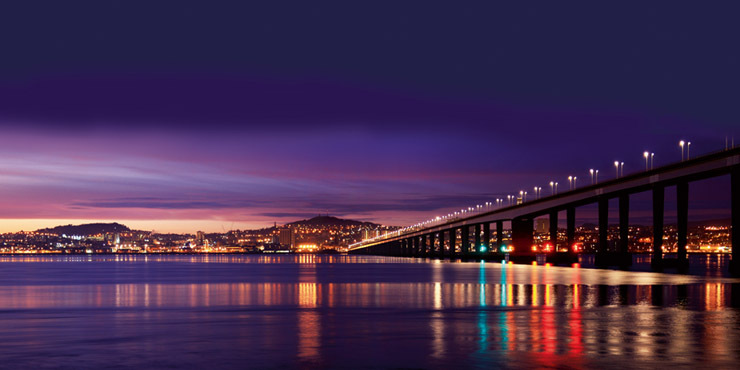 10 June and I’m fortunate to be at the EUNIS Congress in sunny Dundee. EUNIS brings together those who are responsible for management, buying, development and policy for information technology in higher education across Europe. So quite a big deal. It’s great opportunity to seek out cross-European opportunities for collaboration. As such Jisc is running sessions about our approach to co-designing (with the UK education sector) new technology underpinned shared services. Our speakers are Phil Richards (Chief Innovation Officer), Lisa Gray (talking about our assessment and feedback initiative), Niall Sclater (Jisc learning Analytics service) and myself and Janette Hillicks on Business Intelligence. Back in March 2014 I wrote up my attendance at the EUNIS Business Intelligence Taskforce two day event. We’ve stayed in touch looking for opportunities to collaborate on the Jisc and HESA Business Intelligence initiative here in the UK. Specifically we’re converging on a cross-Europe BI Maturity measurement exercise and Jisc will announce our plans for the UK part of that very soon. Janette Hillicks and I are speaking more about our BI initiative on the afternoon of day 1. EUNIS colleagues – if you’d like to discuss any of the above initiatives do seek the Jisc attendees out or attend our sessions. Having written the above, I wasn’t able to live blog the first session by @petercochrane consultant engineer, technologist, futurist, entrepreneur & advisor to industry and governments with over 40 years experience in industry and academia. I did keep an ear on and I’d add humorist to that list and say it was truly inspirational and thought provoking. 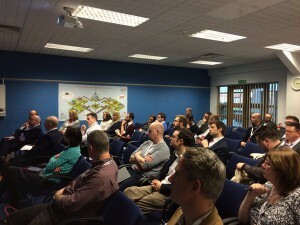 Keynote Two – Jisc Research and Development: Faster Horses or Racing Cars? Phil gave an overview of the new Jisc (a charitable organisation offering solutions to the UK education sector) and highlighted its 4 main areas of work offering shared service to the UK education sector across network and technology, digital resources, advice and engagement, research and development. Each university and college in the UK has its own Jisc account manager. As Chief Innovation officer Phil is head of the Jisc research and development function and outlined the importance of this area in a high technology (fast changing) environment. There’s a new focus on development of digital services and a pipeline to do so. Form technology foresight, proof of concepts, alpha prototypes, beta robust prototypes, service development, service enhancement and, importantly, service decommission. Along with a shared hosting platform for delivery based on the Google stack. This entry was posted in Uncategorized on June 10, 2015 by Myles Danson. We’re here to explore the role of open data in the work of institutional planning and strategic decision making. The workshop is a joint exercise between Universities UK and the Higher Education Strategic Planners Association as part of the UUK ‘Creating value from open data project’. Summary / press release here. This one is allied closely to the Diamond Efficiencies and effectiveness report released yesterday. LINK. The project manager (Will Hammond) is expecting to publish outputs by July 15. Specifically we’re being asked to explore the discoverability, usability and application of open data. This is rather timely for the HESA and Jisc Business Intelligence initiative http://www.business-intelligence.ac.uk UUK intend to run a series of these workshops with different UK Higher Education (HE) representative groups to produce a White Paper on open data for HE, making recommendations for direction of travel along with case studies. The HESA and Jisc project has an R&D aspect which will soon provide a practical approach to the analysis of disparate data collections for useful insights. We’re very keen to include useful currently open data (such as Mosaic) but also helping to open up access to closed data sets for experimentation in the first instance. 1. Do participants currently use open data to support their work? 2. How might participants like to use open data to support their work? 3. How could open data sets be used more effectively? What skills or tools might help? 4. What barriers limit access to data sets that participants would like to use? We began looked at some existing open data sets from sources such as data.gov.uk and the Labour Market Information for All initiative to explore whether and how they might be used alongside existing sector data resources such as the Heidi-Plus and Heidi-Lab initiatives I’m involved in on behalf of Jisc. Folks here echoed the suggestion of the identification of business questions, data sources then analysis and visualisation for successful BI. This is the approach HESA and Jisc are taking with Heidi-Lab. We’ll be running events to gather the questions, identify likely data sources, prioritise for action, analysis through agile iterative development. We hope to innovate quickly and produce new insights that can go out on the Heidi-Plus service. The outputs of this UUK initiative should be most beneficial to Jisc and HESA moving to action and helping the wider sector accrue the benefits of cutting edge BI through a shared service approach. 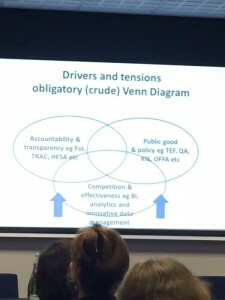 A call for Jisc to help address the tiers and subscription costs for granularity of access to data (HESA and others)…. no small ask! Maybe the BI initiative will help gather evidence of possibility and demand. What data isn’t being used? What does the workforce look like in the next 10 years – who is retiring? Are we good value? What is our regional economic input? This entry was posted in Uncategorized on February 27, 2015 by Myles Danson. Student loans company session exploring the Student Loans Company and how the data they are collecting. SLC serves UK Providers with Alternate (non-publically funded) providers the subject of a review. 60K learners in the Further Education sector eligible for loans before they consider Higher Education. SLC capture data about the service they offer (time to resolve queries, cost per transaction etc.) Collections include course information (UCAS / HESA do this too and could be a beneficiary of the Exchanging Course Related Information (XCRI CAP) Jisc initiative), chargeable fee rates, attendance (used to be linked to UK Borders I think), attendance and withdrawal and more. Prospective student applications are collected and assessed – who had applied, when, what for and aggregated to give a view of student having applied for finance for a course. 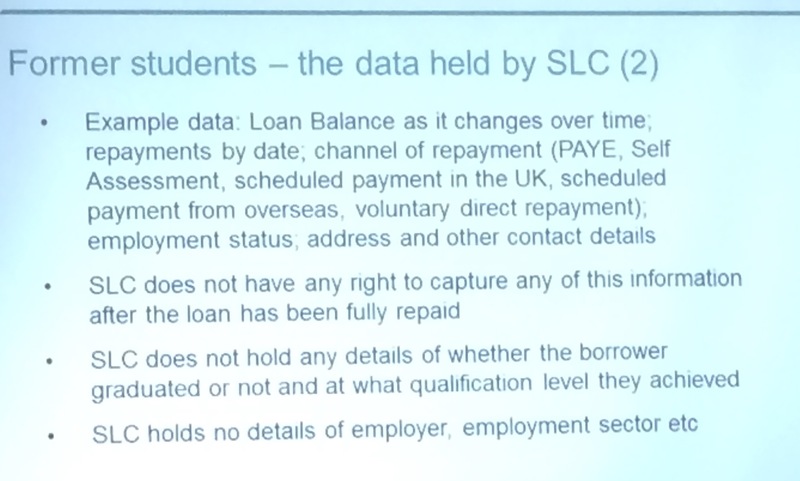 Every SLC payment is dependent on attendance with the onus on the provider (institutions) to inform SLC of cessation of study with conformation of attendance a confirmation of fee accuracy. This results in significant peaks of attendance declarations (peaking at over 120K in a day). 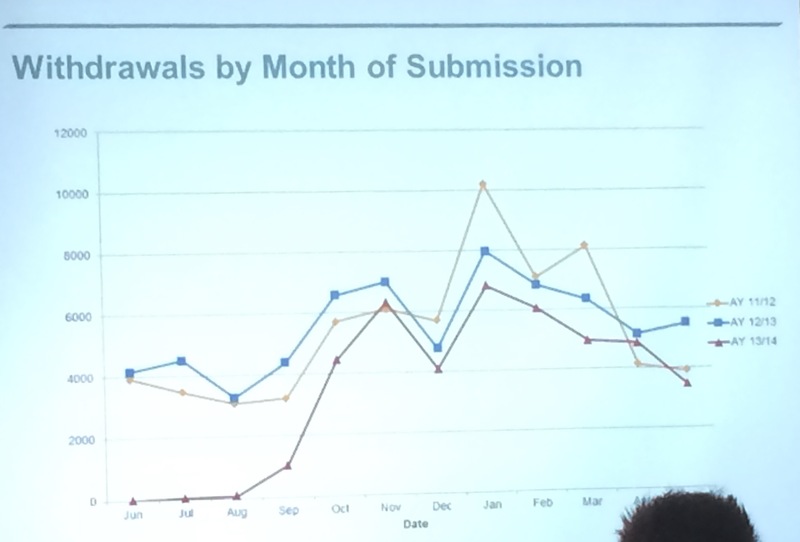 SLC therefore have national data on withdrawals with SLC data showing a decline in withdrawals year on year. This data is provided to SLC account managers to share with their client Institutions (in a closed way, no benchmarking). SLC data available is three categories; Applications for finance, Students, Former students. SLC makes some data publicly available via gov.uk bt currently on application rates, a HE provider breakdown of payments for 12/13 and routine arrangements and agreements for anonymised / aggregated data by external parties – HESA, HEFCE, HEFCW, OFFA, manhunts by repayment status, average repayments, average balance per borrower each year into repayment. Also special projects – Human capital research project by Prof Shepard and Vignoles got an agreement with HMRC data lab and has taken SLC data and earnings from HMRC. So there’s a precedent to release some data for public use but via HMRC not SLC. Government and Administration have some access to student finance applications, payments and an annual statement on debt and repayments is made to BIS. Rather than HEIs approaching HMRC separately, SLC suggested that linking SLC with HMRC data would seem a potential way forward but may require BIS and DfE coordination. A potential opportunity for the HESA/Jisc BI project? Noting that SLC are on the Advisory Panel for the HEDIIP programme, as are Jisc, as I think are HESA. This entry was posted in Uncategorized on February 5, 2015 by Myles Danson. Usual caveat – I’m blogging live from sessions so please treat as such! 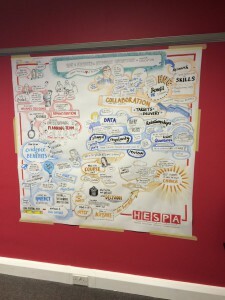 I blogged my first HESPA Conference this time last year and followed up discussing the project vision with the HESPA Executive. This is us a year on presenting at the event and gaining input going forward from delegates. All good stuff. Key to this was an indication that the conference has grown. Some of the higher profile speakers including Professor Sir David Willetts (last year) and Professor Sir Ian Diamond this year (of the Diamond Review and report Efficiencies and Effectiveness in HE – something Jisc and I worked on implementing with UUK and others developing http://www.efficiencyexchange.ac.uk (Jisc and UUK continue to work on this and Diamond 2 – the UK Efficiencies and monitoring group). Also a big push on HEDIIP, the programme Andy Youell is Directing aiming to optimise the Higher Education Information Landscape. Also a key one for the bI project I’m representing. Planners are a varied bunch coming from finance, administration and data analysis. Planning and strategic planning is essential and should be on the forefront of University Executive bodies. 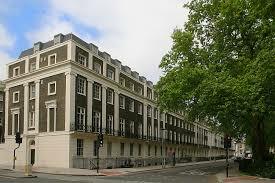 UK Universities are a national success story and seen as the most efficient in the world. The change of capital funding from the finding councils vs capital from sale loans and other sources is a big shift in making Universities responsible for income generation to meet their needs. This could with the decline in research funding from public sources (dramatic) and the importance of Europe. Is the financial future rosy? Sadly not. With the election in May and likelihood of Conservative or Labour power of some sort both are committed to deficit decrease. It’s going to be ever more difficult to maintain funding levels for HE. Removing students from the immigration figures is imperative but not yet addressed. In Scotland and Wales elections are in 2016 so expect changes there to reflect deficit aspirations. The tension between FE and HE needs resolving – UK needs more graduates and more apprentices and more professional apprentices. Jisc are working across HE and FE and we’re hoping to ensure FE benefit from our new BI services. 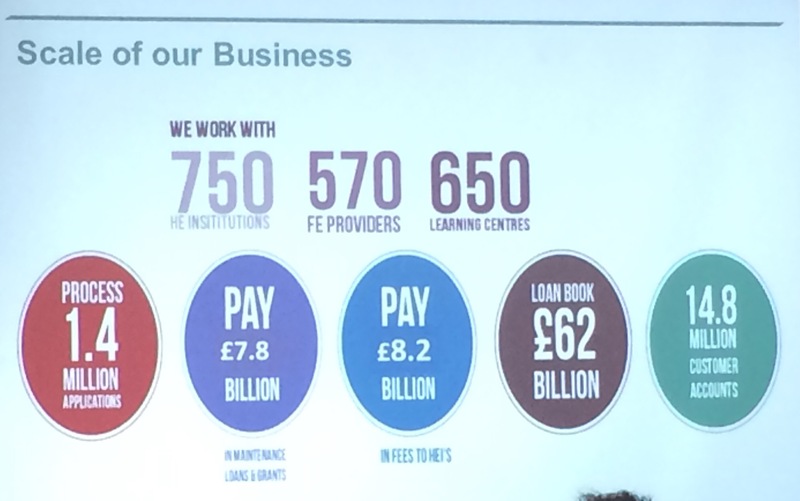 Ian touched on the importance on procurement highlighting Jisc as the largest VAT Cost saving service. Ian called for one version of truth, the prevalence of low BI maturity characteristics – another area Jisc and HESA are collaborating on RE National shared services. 1. Delivering value from the estate (AUDE led) – significant income generation and efficiency gains, extending study times enhances the student experience etc. Probably a lot we could surface here as part of the BI project and this sis a theme for our workshop. 2. Asset and equipment sharing – good evidence but Ian calls for a robust set of metrics to evaluate the impact. An area our BI project could make impact in. 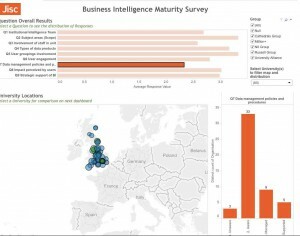 These map quite nicely to the HESA / Jisc BI initiative https://business-intelligence.ac.uk so good to see we’re on the right lines! Setting the scene of the importance of HE through the ages including the great depression, WW2, the space race and now the new opportunities afforded by the information age. Climate change, smart energy, the knowledge economy. The cost of HE and whether its is worth participating. You are not Mark Zuckerburg – stay in school. Educating more people and better is the best bet any society can make. A higher education is the single best investment you can make in your life. Affordability, Access (and completion), Accountability. In New York State alone there are 11 million people in need for Higher education; flexible and on learners own terms, opening career opportunities. Technology has a key role to play. The role of ‘applied learning’ as a feature of success is made as a successful bridge between HE success and entry into the workforce. A call to design curriculum to embrace hands on learning in real world settings. Collective impact as a step beyond collaboration – work together to enhance outcomes. KEY LEARNING; The completion agenda is clearly a big issue in America. The UK HE model is aping that of America and yet here at Educause there’s a sense of the system being far from perfect. Make college practical, but not excessively so, lower the price, without lowering standards, look to technologies to help. I’m excited about educational analytics and have blogged in detail here about its potential. Jisc, HESA and HESPA are working together to help the UK HE sector move this important area forward through provision of tools and services and today we came to an agreement on a joint 2 year project to provide such to the 164 publicly funded providers of Higher Educaiton in the UK. Educause are very active in developing advice and guidance, while EUNIS have a task force. Looking across these and trying to achieve economies in effort and expertise to achieve mutual benefits seem prime. I hope to engage further with the EUNIS BI taskforce and have taken a position on the Educause program committee for 2015. I hope to play a role in taking the BI and analytics in education agendas forward and look forward to the challenges and benefits ahead. This entry was posted in Uncategorized on October 2, 2014 by Myles Danson.